In the brilliantly funny and game-changing third season, Jess and Nick go “all-in” on their romance, but soon realize that loving and living together will be tougher than they thought. 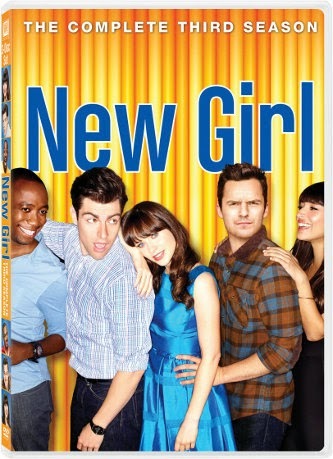 Schmidt finds himself in double trouble when he dates Cece and Elizabeth at the same time. Unlucky-in-love Winston makes a special connection…too bad it's only with the roommates' new house cat. Meanwhile, Coach returns and a Thanksgiving adventure turns the guys into turkeys – plus there's the wildly popular "Prince" episode, featuring a larger-than-life guest star who becomes an unexpected romantic advisor to Jess.